We all wish we could actually get our spring cleaning done, especially in the kitchen, right? The kitchen is usually the most lived in room in our homes, so it takes quite the beating and naturally accumulates a lot of dirt and grime, even more so if we have messy little ones! It definitely needs a good deep cleaning every now and then. 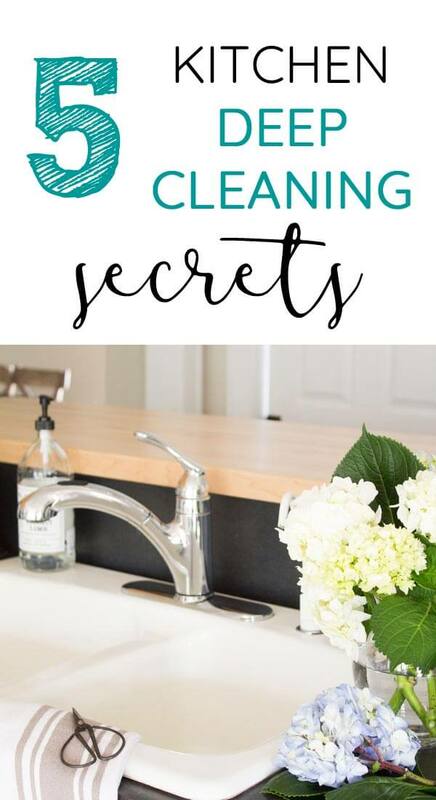 I can't come help you clean your kitchen, but I can give you few tips I've learned over the years that could save you hours of scrubbing! Work from top to bottom. This may seem like a no brainer, but you wouldn't believe how many times I've ignored my own advice and regretted it! So I'll save you the same despair and give you this friendly reminder: Save countertops and floors for last so that dirt and crumbs from the rest of your cleaning spree won't be a problem. Start at the top (light fixtures, top of the fridge, upper cabinets, etc.) and work your way down (sink, countertops, lower cabinets, oven, floor). Use rubbing alcohol on grease. Have you ever peeked under your range hood or above your microwave? Or maybe just at your backsplash behind your stove top? Chances are it's covered in a greasy, sticky mess. Even wiping it down daily doesn't totally prevent eventual build up. It can be tough to clean up the caked on grime with every day cleaners. When we were deep cleaning our last house before listing it for sale, I was struggling to clean above our microwave when I had a light bulb moment. Rubbing alcohol. It breaks down grease and oil splatters with ease. Pour a little on a soft cloth or paper towel and wipe away! Use a steam cleaner. Steam is great for disinfecting but it can also help loosen and remove stains, grease, burnt food, dirt, etc. 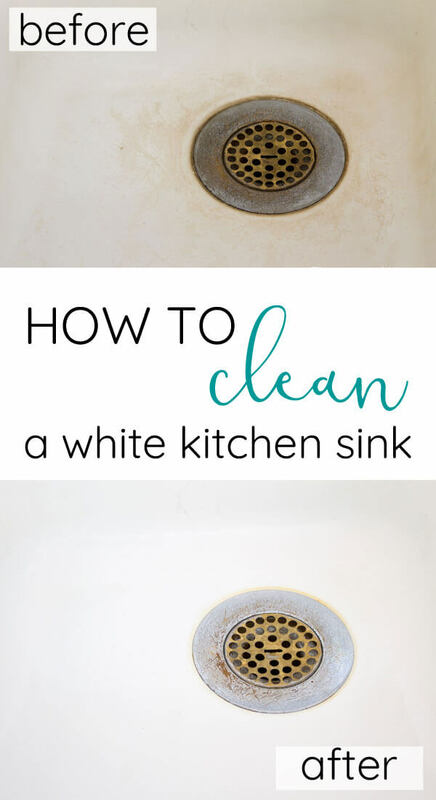 Use a steam cleaner on cast iron enamel sinks (see my white sink cleaning tutorial here), inside of ovens and microwaves, and even on floors. Put vinegar and lemon in the garbage disposal. Stinky garbage disposal? Use an ice cube tray to freeze a mixture of one part water and one part white distilled vinegar. Then put the ice cubes into the garbage disposal and let it run. The vinegar will disinfect the garbage disposal. Then cut a lemon into slices and put it through the garbage disposal to counteract any lingering foul odors. Download your free kitchen deep cleaning checklist! 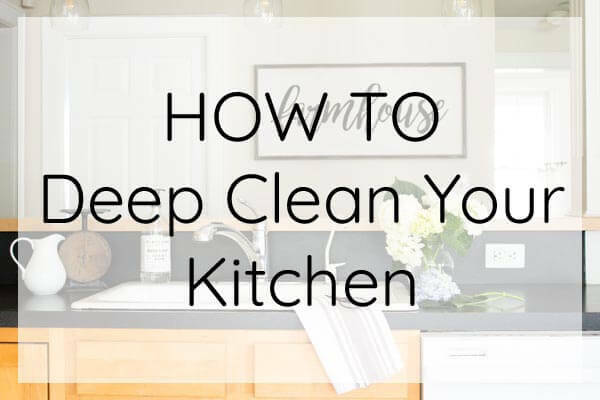 For more kitchen cleaning tips, sign up below to download a free printable kitchen cleaning guide.